The much awaited iPhone is launched by the software giant Apple . Apple CEO Steve Jobs yesterday(10th jan 2007) introduced the iPhone. 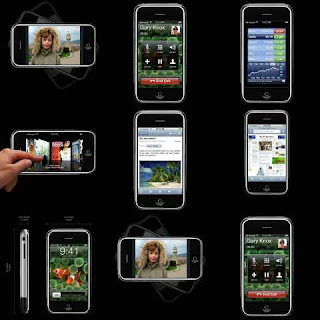 IPhone in a sense is a revolutionary product combining three products into one — a revolutionary mobile phone, a widescreen iPod with touch controls, and a breakthrough Internet communications device with desktop-class email, web browsing, searching and maps-into one small and lightweight handheld device. According to Jobs IPhone it is "literally five years ahead of any other mobile phones".